Established in 1973, and with over 45 years of experience in Denver and the surrounding areas, our customers can depend on quality. Because we are family owned and operated, we take pride in the quality of our products and in the service we provide our customers. With over 45 years of experience in Denver area, our customers can depend on quality. We have set the standard in residential, commercial, and industrial fencing. Boundary Fence and Supply Co. Exceptional service from start to finish and outstanding work over the course of the project. We replaced the fence surrounding our home in Stapleton and are very happy with the finished product. Highly recommended. 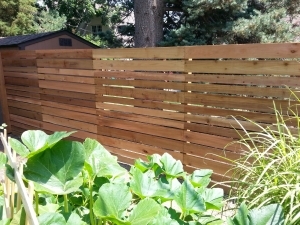 Contracted with Boundary Fence to install a 6' cedar stockade fence in Lakewood. It was nice to work with professionals who know the business. Kathi communicated well throughout the entire job providing clear expectations for getting a bid as well as scheduling/completing the job. Boundary had a longer lead time for getting an estimate as well job completion, but were definitely worth the wait. Didn't seem to helpful or knowledgeable in my experience. Would recommend Split Rail Fence.